String Sinfonietta is the entry-level string ensemble of the Youth Orchestra Program. Unlike the other ensembles in the YOP, there is no audition requirement for Sinfonietta. 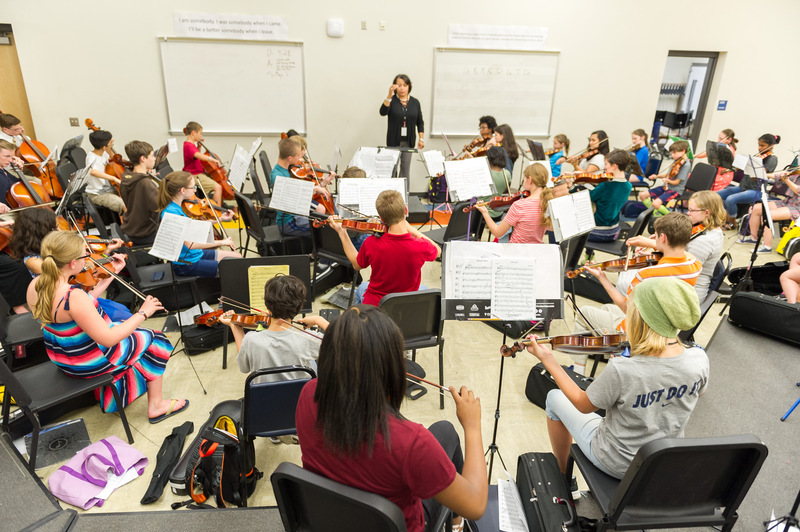 In this ensemble, students learn the basics of playing in an orchestra. They learn about their section within the orchestra, and their role within the section. Students learn to watch and follow a conductor, and how to listen to other sections in the orchestra. Above all, the young musicians in String Sinfonietta learn the joy of making music with others. Interested in joining String Sinfonietta? Complete the inquiry form. NO formal Audition required, however successful students will have mastery over the following requirements. The Activity Fee covers the cost of musician’s YOP T-Shirt and end-of-year Pizza Party. The Concert package ensures that all YOP concerts are free for friends and family to attend!